The good people from Blast Theory, in association with Copenhagen International Theatre, are participating in a month-long festival for art and performance called Metropolis. 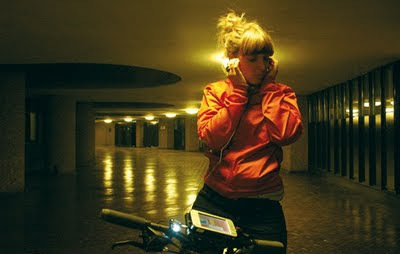 Blast Theory's Rider Spoke project involves getting a GPS on your bicycle and a voice in your headphones. You embark on a bicycle journey combining art and modern technology and you ride around hunting down secret or hidden places in the Søndermarken neighbourhood of Copenhagen. If you're in Copenhagen you can go on your GPS journey of discovery on August 12-16 between 17:00-21:00. The trip lasts about 75 minutes and tickets are available on BILLETnet.dk.